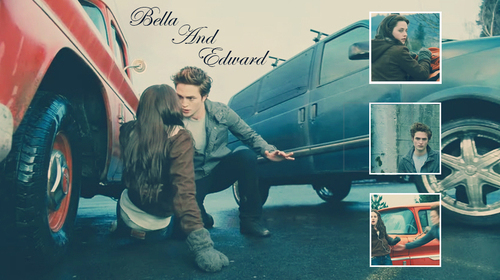 Edward and Bella Fanart. made by me enjoy = ). HD Wallpaper and background images in the Edward and Bella club tagged: twilight bella edward love fan art. This Edward and Bella fan art might contain chuck wagon, lippizan, lipizzan, lippizaner, covered wagon, conestoga wagon, conestoga, prairie wagon, and prairie schooner.